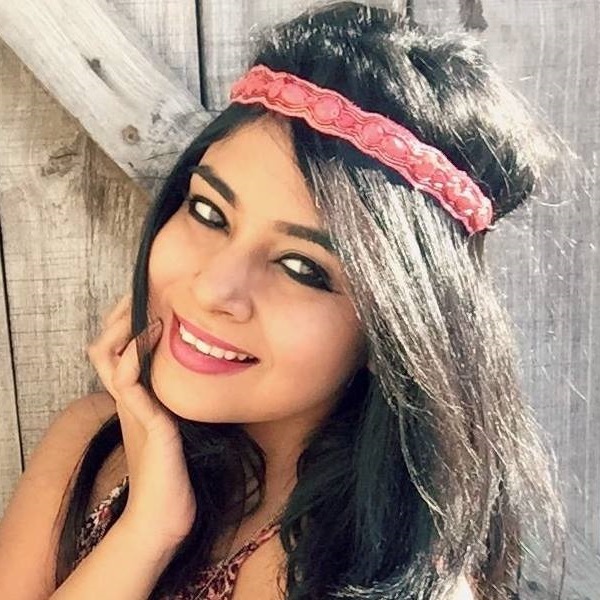 Base Makeup: The Best Base Makeup Suiting every Budget! It helps even out your skin and gives you that dewy finish. Make sure to not go overboard with it and blend it in seamlessly for a more natural look. Best Base Makeup Lakme Invisible Foundation: It’s ultra lightweight, blends easily and also provides SPF protection. Plus, it comes in 8 different shades. Price: Rs 182 Revlon Touch & Glow Moisturizing Makeup Foundation: It hydrates your skin while giving you that perfect, dewy glow. Price: Rs 349 Rimmel London Stay Matte Foundation: Non-greasy, lightweight and helps control oiliness with a matte finish. Price: Rs 225. Concealer is every girl's magic wand for covering up spots, blemishes and fine lines. It’s not to be used on the whole face like a foundation, but only on the problem areas. Once you have applied your concealer and foundation, dust some translucent powder on top to set it and ensure it stays fresh all day long. Plus, it gives your skin a smooth finish. How To Find The Best Base Makeup For Skin Type? 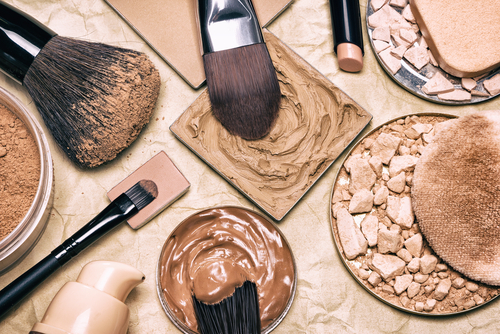 In order to pick the perfect foundation and concealer foundation formula for your skin type, it’s important to know your skin type first. Depending on your skin’s texture and needs, you’ll be able to make the right choice. How To Prepare For Applying Base Makeup? Step 1: The first thing you must do is to cleanse your face. Make sure that your hands and face do not have any makeup residue, dirt and dust on them. A mild cleanser or a makeup remover can get the job done just fine. Avoid using soaps or fragrant face washes because these tend to be packed with chemicals and could damage your skin instead of cleansing it. Once that’s done, apply a bit of SPF moisturiser to your face so that your delicate skin is protected from the sun. Step 2: Exfoliation is the secret to healthy and radiant skin. There are plenty of scrubs in the market that help remove dry skin and deep cleanse pores. You must do this 10 minutes after washing your face with a cleanser. If you don’t believe in using commercial products, why don’t you make one at home from scratch with the help of natural ingredients? It’s pretty simple! Mix half a cup of brown sugar with grapeseed oil and stir till you get a thick paste. Add a dash of lemon juice and use your fingers to apply the natural scrub to your face. Don’t forget to scrub in circular motions! After 5 minutes of exfoliating, you are free to wash your face and neck with lukewarm water. Step 3: The next step is to use a primer. Consider it to be a lighter version of a foundation. To prep your skin and give it a smooth finish, a primer gets the job done effortlessly. There are different primers out there for different skin types and colours. Each of them is meant to rectify a different issue. For example - a green coloured primer sorts all the redness on your skin. Pink, on the other hand, brings life and brightness to dull skin. If you have dark circles or patches on your face, a peach coloured primer will do your skin good. Liquid foundations or tinted moisturisers - you pick! Either of these products will help set the foundation for a perfect base. 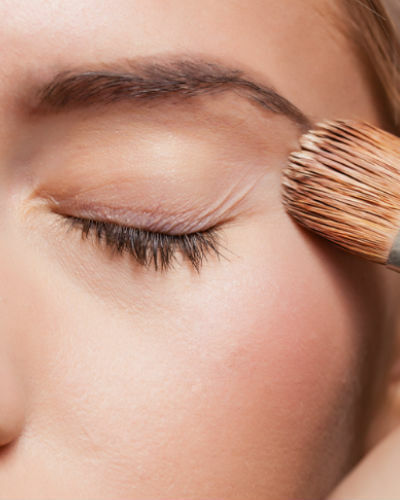 Use a beauty sponge or a makeup brush to blend the product. When choosing a foundation, make sure that you go for one that matches the colour of your jawline. In order to get a shade that’s closest to your skin colour, feel free to try out many foundations from several brands. If you can’t find your shade, you can mix and match too. Also, avoid applying too much foundation, because you want your skin to breathe and not look like you have a face pack on. Keep it minimal and natural. You Can Also Use A Foundation Stick! In our opinion, foundation sticks are less messier than liquid foundations and save so much time! Think of the foundation stick as a giant marker for your skin. Draw two lines on your temple, three lines on your cheeks, two on your chin and a big line on your nose. Use a brush or a blender to blend in a circular motion. To give skin a bronzed finish, you can layer the foundation with a lighter foundation or tinted moisturiser. 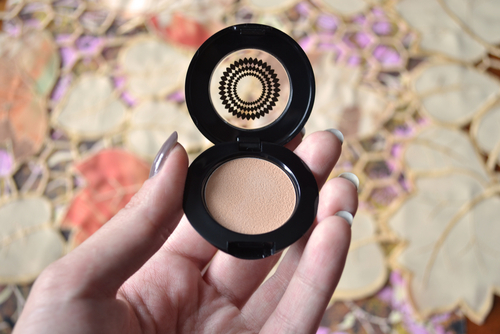 If you don’t want to use a cream or liquid foundation, compact powders are always welcome. Pick a brush that’s able to pick the right amount of product to deliver to your skin. Dust the powder all over your face and continue to do so in circular motions. That’s all there is to it! Even after you apply foundation, you may still find spots. This is where concealer comes to your rescue! Dab a bit of liquid concealer on the spots and do a double check to see if your foundation matches your skin colour. For your dark circle region, pick a concealer with orange tones. This will neutralize and balance the colour of your skin. Instead of using a beauty blender to blend the product in, you can use your ring finger. The latter is a better approach. With foundation and concealer, your base seems complete. However, that’s not true. You need loose powder to set your base. We urge you to do this because that way, your foundation will stay on longer and it’ll give a lovely matte finish to your skin. Since it controls shine, make sure to apply loose powder to all areas of your skin that get oily quickly. That’s your T-zone area and forehead. To highlight your cheekbones and make them pop, you can use either a blush or a bronzer. If you’re going with bronzer, then you need to focus on your chest, neck and face. If you choose blush, then you must know how to apply it. Begin with a smile. Apply the blush on the apple of your cheeks and use a makeup brush to blend it in an upward direction. Once that’s done, you can slowly brush the product down to your jawline. Avoid applying too much of blush. A natural flush of colour should be your aim. If you’re new to applying foundation, concealer and powder, we’d like to share some makeup tips with you. After moisturising your face, don’t immediately apply foundation. Give it a few minutes. Allow the primer or moisturizer to soak and get absorbed into your skin. After some time, apply your foundation like you normally would. The foundation will sit better on your skin. When investing in a foundation, be patient. Don’t just buy a bottle on a whim. Take half a day and spend time visiting makeup stores. Try on different shades and do not shy away from asking an expert for help. Read up on reviews and figure out if your skin tone falls under warm, cool or neutral. Once you know that, finding a foundation shade that matches your skin tone will become an easier process. Less is more when it comes to using a foundation. Apply a small amount of foundation first and later on, start to build it using more product. Applying too much foundation at one go is a waste of product and can clog your pores in the long run. 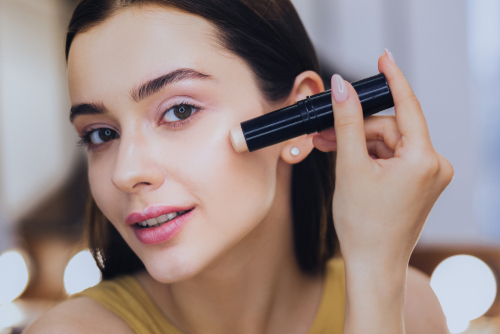 If you have fine lines and dry skin, applying concealer in your under eye area can turn out to be a living nightmare. Apply a humble eye cream to prep your skin. After 5 minutes, apply a thin layer of foundation and follow it up with concealer. After applying concealer, you can give your skin a dewy finish by dabbing your skin with a damp beauty blender. It works like a charm ALL the time. For women who have pimples, applying concealer using a finger is a big no-no. 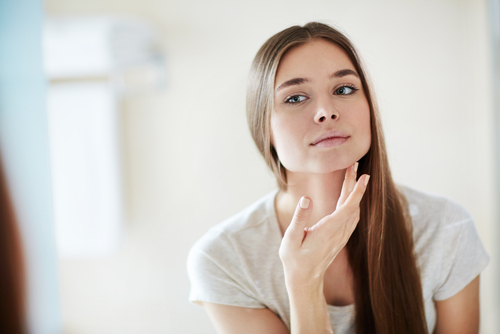 It could spread more bacteria around the infected pore and give rise to more pimples. 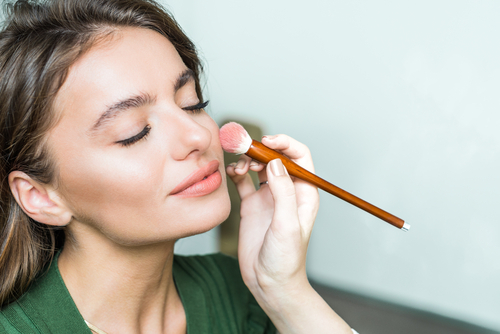 To conceal a pimple, use a pointed makeup brush and dab it directly on the zit. Set with translucent powder after. 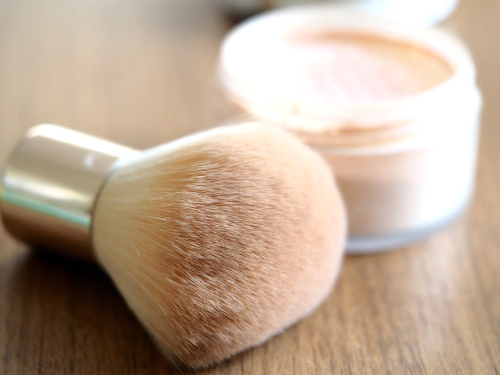 Before applying setting powder, you must tap your makeup brush so that you don’t apply too much product on your face. For a smooth and easy application process, pick a brush that’s soft and thick. If you do land up putting on more product than required, use a thinner makeup brush to wipe off any powder particles. Also, your makeup brush technique needs to be at the top of its game. No strokes, but circular motions will do justice to your makeup. Now that you know the A-Z of base makeup, you can get the perfect even complexion and look selfie-ready in every picture. So ladies, what are you waiting for? Grab your makeup essentials and try your hand at mastering your base makeup skills. All the best! Images: Shutterstock AWESOME NEWS! POPxo SHOP is now Open! Get 25% off on all the super fun mugs, phone covers, cushions, laptop sleeves, and more! Use coupon code POPXOFIRST. Online shopping for women never looked better! This story was updated in January 2019.